A look at some of the big moments and quieter behind-the-scenes stills of UCF game days. 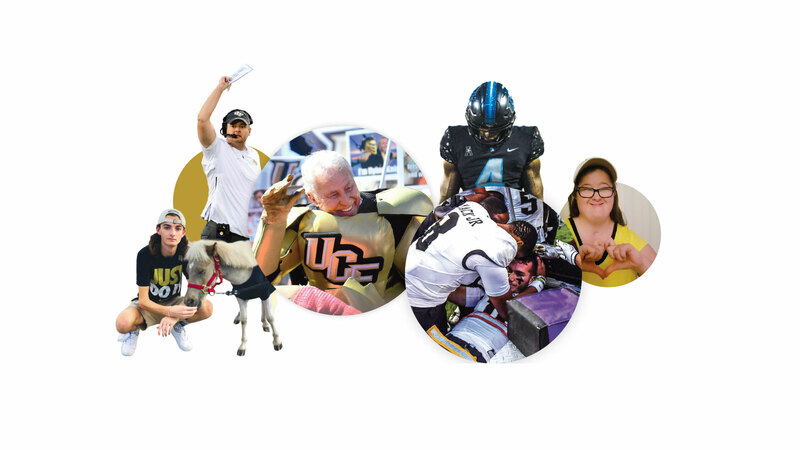 The head of UCF football’s social media selects his top moments from the season. We are proud to have played in the Fiesta Bowl, but fostering social mobility in higher education matters even more. Every uniform combination of the Knight’s 2018 season. The Knights’ past two seasons have proven to be a lesson in resolve. It started with selfies at tailgates — and turned into a family. The Knights play-by-play announcer Marc Daniels on the UCF football team’s incredible past two seasons and the promise of the program’s future. As assistant athletics director of #Content at UCF, I’m the guy behind every tweet, Instagram caption and Facebook post you retweet, comment on or like from the UCF football team. 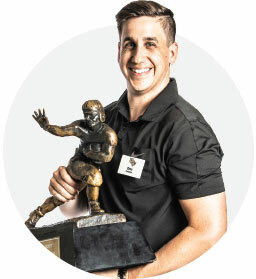 As a proud grad and the son/brother/husband of UCF alumni, my job is my way of giving back to my alma mater and a team I’ve been a fan of since birth. One of the most enjoyable parts of this season was seeing each game and our players’ hard work acknowledged, celebrated and even debated by the online community. I love what UCF stands for, how our fans rally behind the team and that we are now a topic of conversation for people from all walks of life. It’s more than the moments on the field that bond UCF’s football brotherhood and Knight Nation together. My social media team and I do our best to capture those moments and share them with you. It’s a lot of fun and a lot of hard work over countless hours, but being at the controls of the Knights’ social media is something that I wouldn’t trade for the world.